An English Homestead: Postcard From Afar! We were really pleased yesterday morning when a postcard dropped onto the mat. 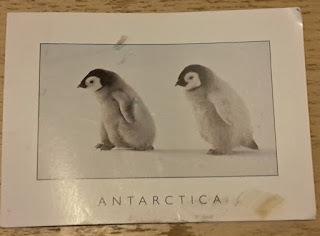 We love getting a postcard from anywhere, but to get one from Antarctica is extra special! The girls were really excited and wanted to look on the map at where it was from (we've always had a world map on the wall and they love looking at it and seeing where some of our friends live). My brother's wife's brother (it does make sense) is a doctor stationed in Antarctica at the moment on Halley research station. Unfortunately his stay there is being cut short, it was meant to be 18 months but due to a new ice crack no staff are staying to over winter there. It has been interesting following his adventure though, an I've never known anyone who's lived on Antarctica before! You can see some of his amazing pictures on his Instagram account here or read some of his blog posts to see what living down there is like. So a big thank you to Neil! 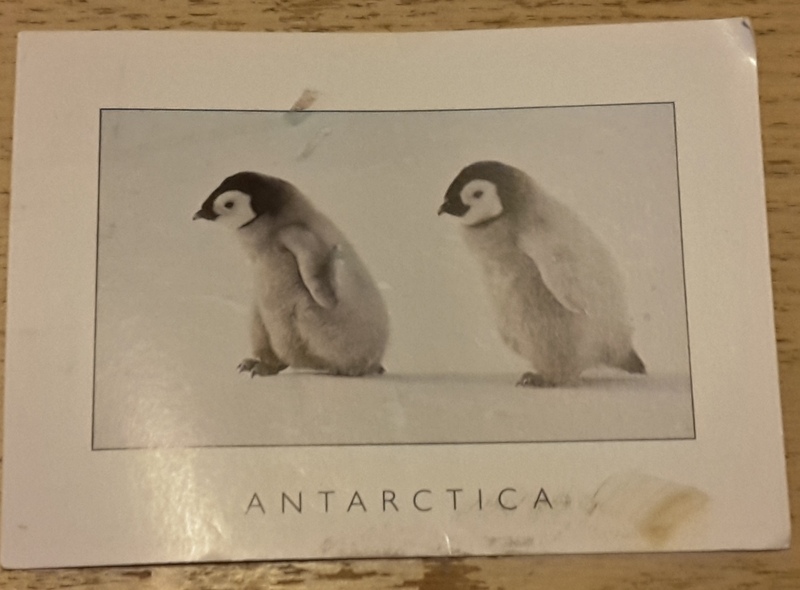 What's the best postcard you've ever received and where did it come from? Or have you received one with a great story behind it? You certainly don't see one of those very often! This is a bit different, but I am always quite excited by it. I do a school's attendance, and have to phone parents to see why their child is not present. So far I have spoken to parents in, South Africa, Iceland and Japan, and all over Europe, due them being on holiday. I keep thinking I must get a world map and keep a track.